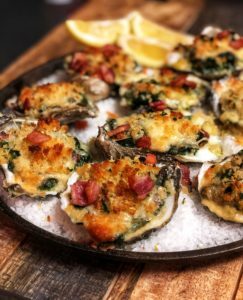 OYSTERS ROCKEFELLER RECIPE - Carolina Meat & Fish Co. OMG!!! 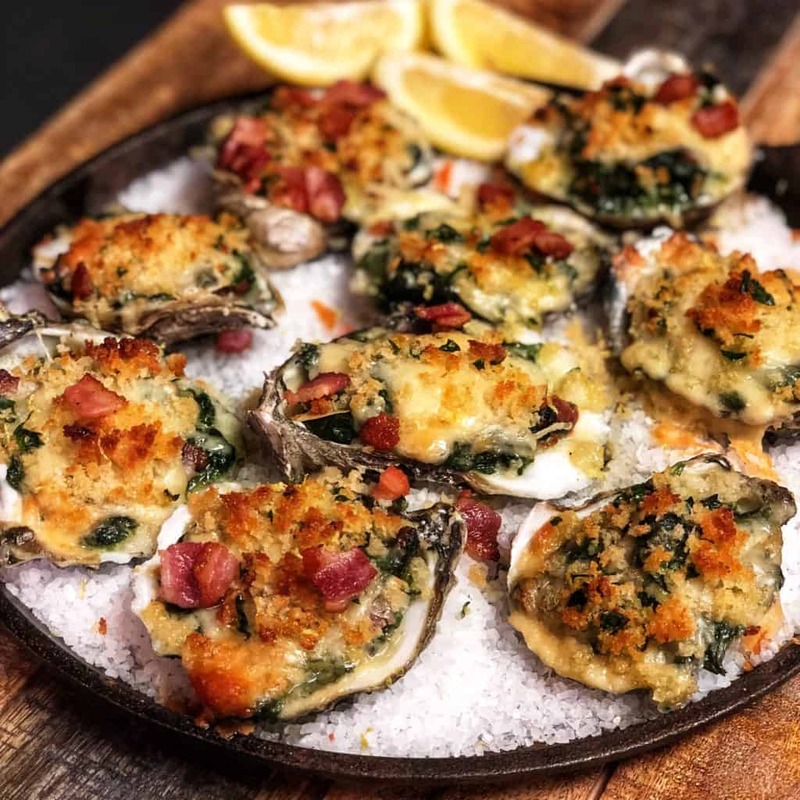 Oysters Rockefeller…a USA favorite…a rich and creamy blend of spinach, cheeses, and bacon on top of a juicy, plump oyster…what more could you ask for? 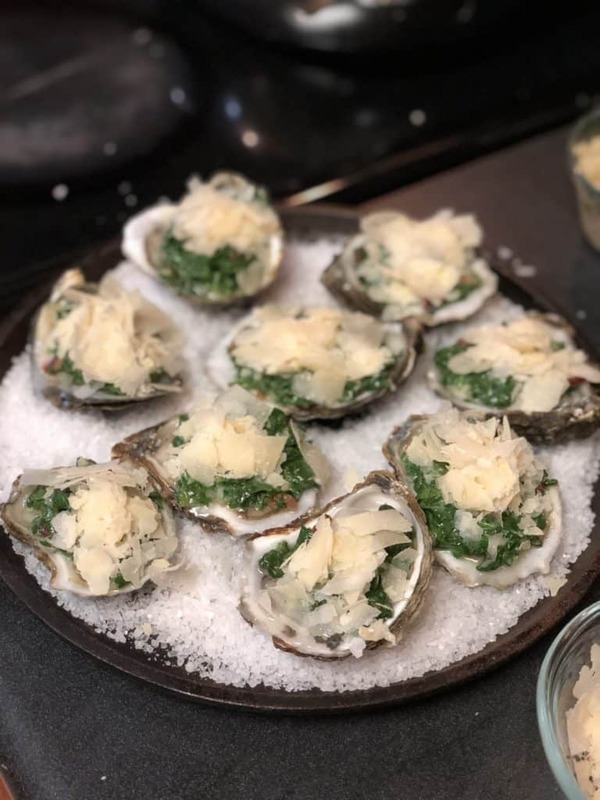 I hope you will love this recipe as much as I loved creating it. 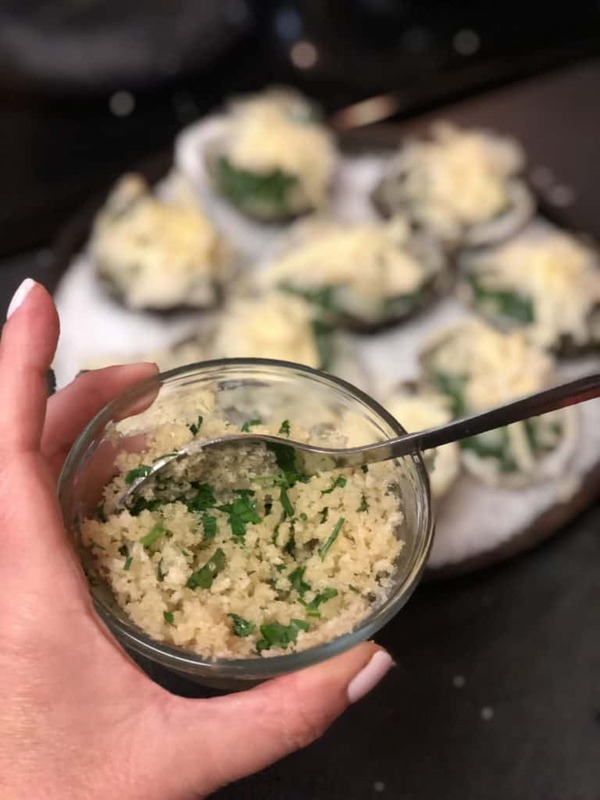 The recipe is relatively easy…just a few simple steps…and they can be on your table in under thirty minutes! 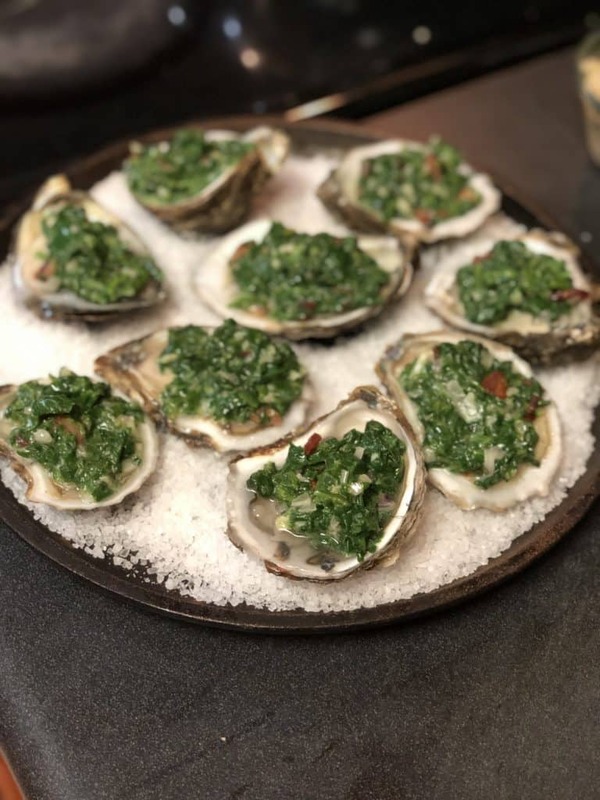 I used Blue Point oysters from The Carolina Meat & Fish Co. for this recipe…I would suggest using these or an oyster similar in size and brininess. Ask your local fishmonger for substitutes if Blue Points are not available. 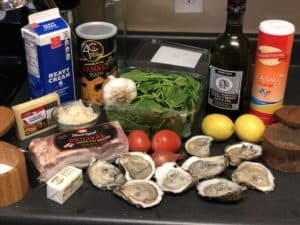 This recipe will make about a dozen and a half oysters! Heat oven to 375 degrees. Cut your bacon into tiny pieces. Cook to crispy. 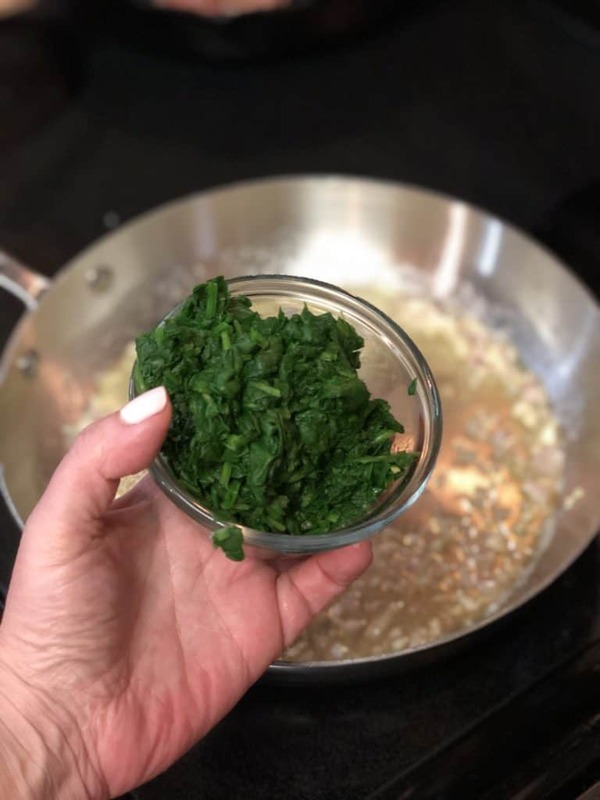 Place your spinach in a microwave-safe bowl. Microwave on high for a minute. 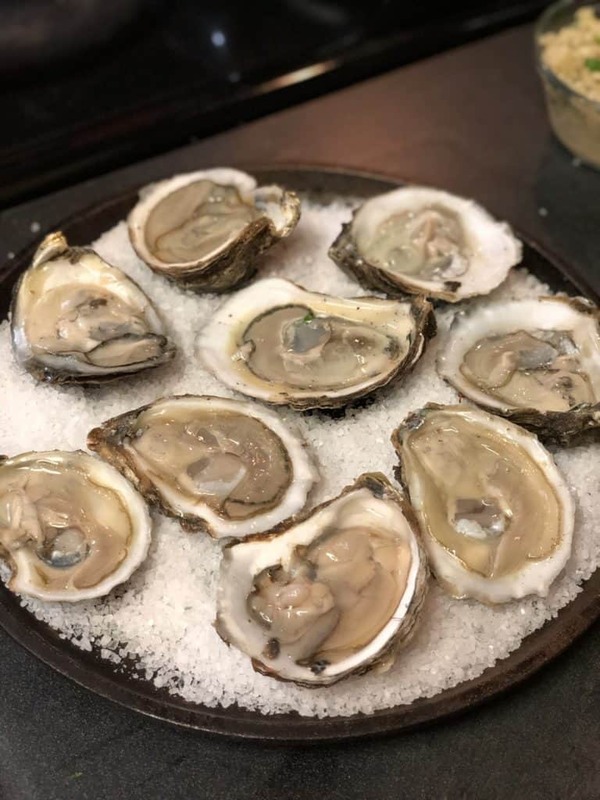 Place on cutting board and chop into tiny pieces…reserve. Melt three tablespoons of butter in a pan. 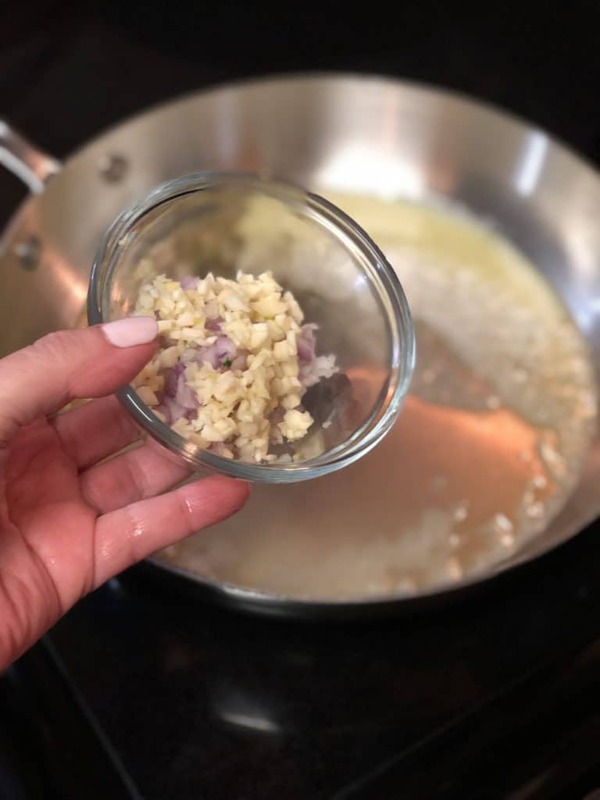 Add the shallots and garlic. Cook for about a minute. 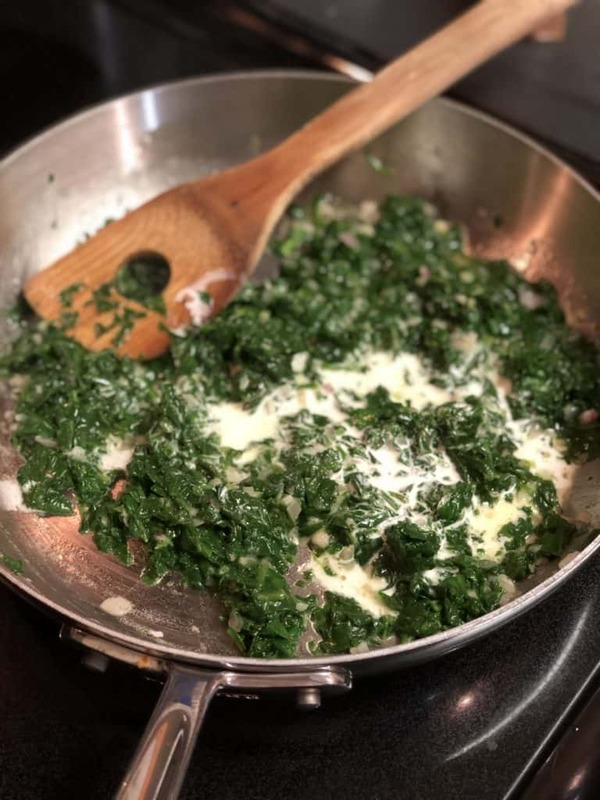 Add the chopped spinach. Season with pepper. 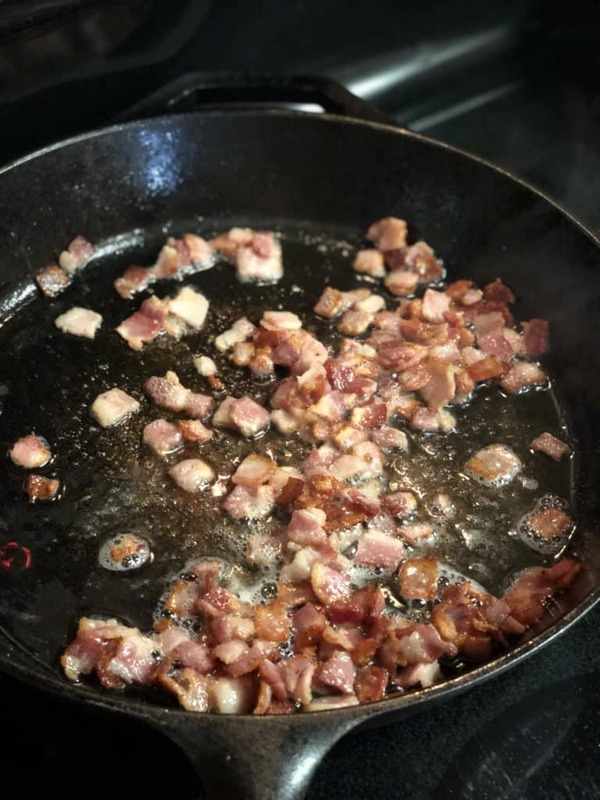 You should NOT need to add additional salt…the butter and bacon will provide plenty. 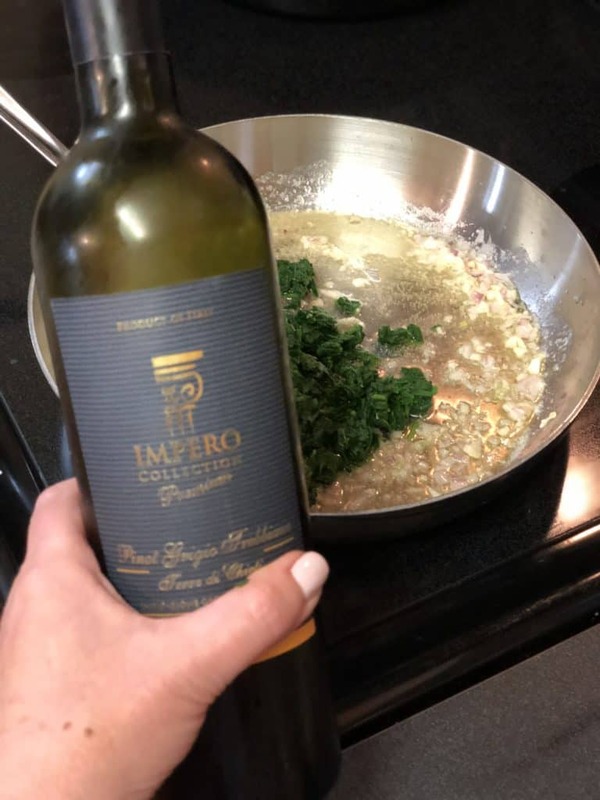 Pour in a splash of the white wine. 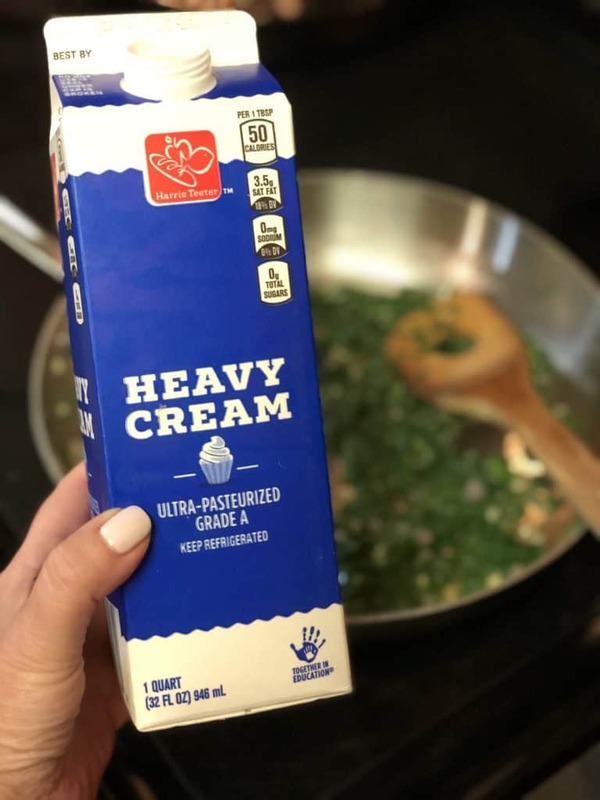 Add in the heavy whipping cream and combine…allow to cook for about two minutes…just enough to heat up the cream and allow the mixture to thicken just a bit. 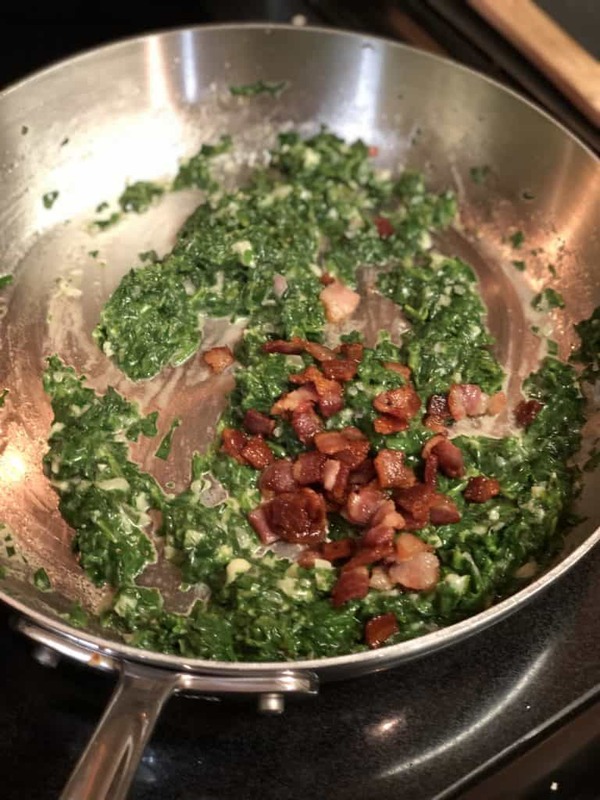 Add about one half of the crisp bacon pieces to the spinach mixture…stir to combine. Remove pan from heat. 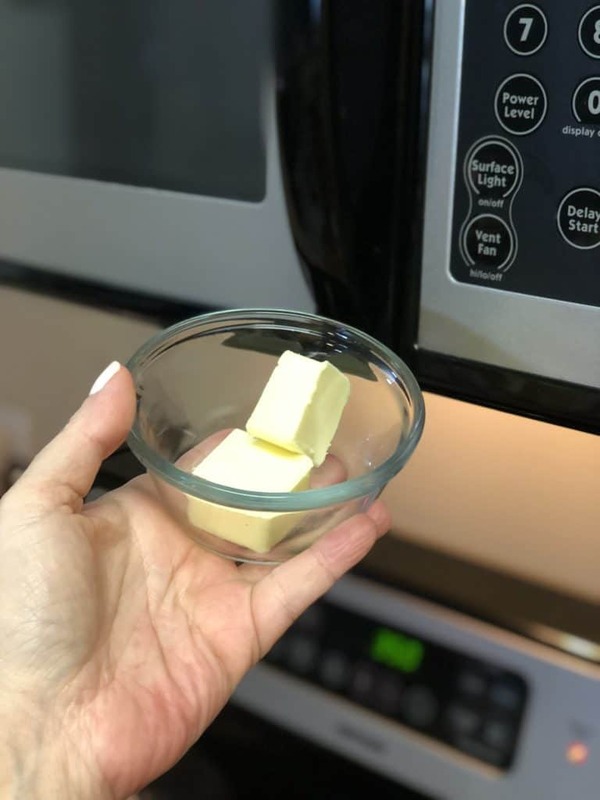 In a small bowl, melt the remaining two tablespoons of butter in the microwave. 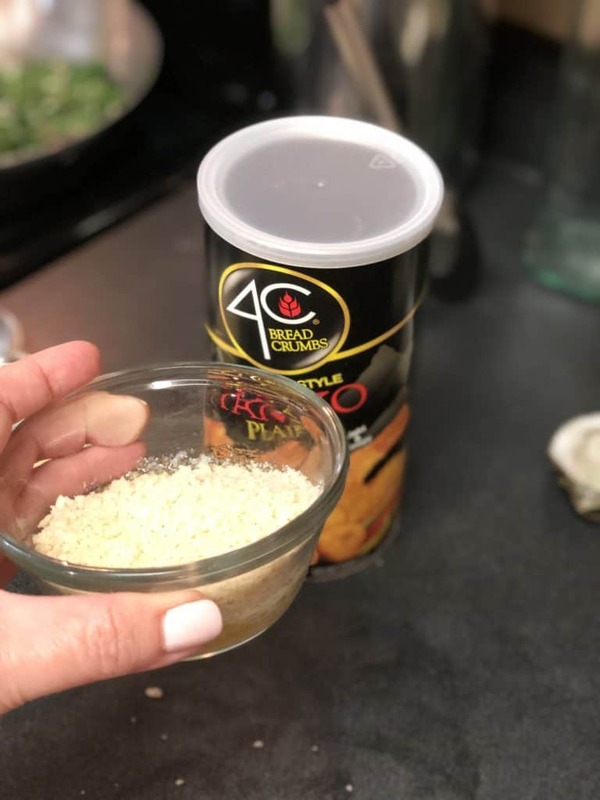 Remove from microwave and add in the Panko bread crumbs…stir well to coat the breadcrumbs. 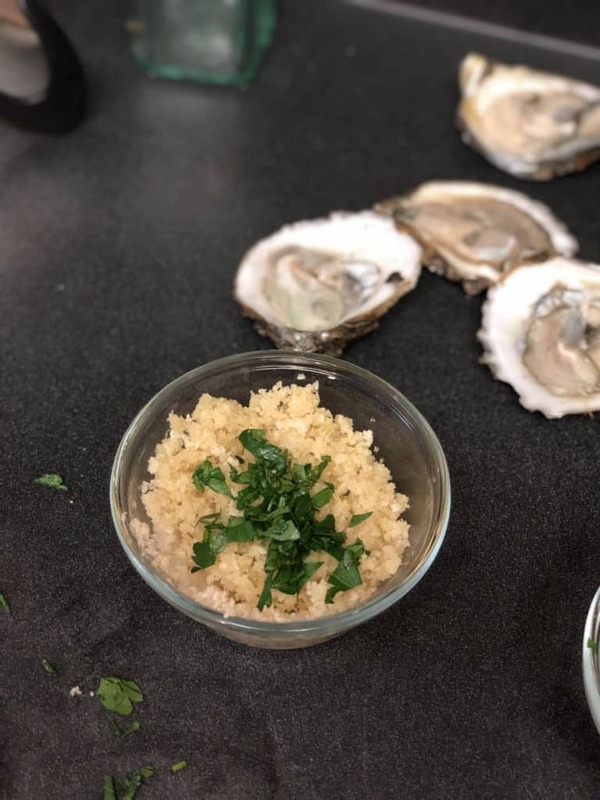 Mix in a tablespoon of the fresh chopped parsley. Grab a baking dish or pan. 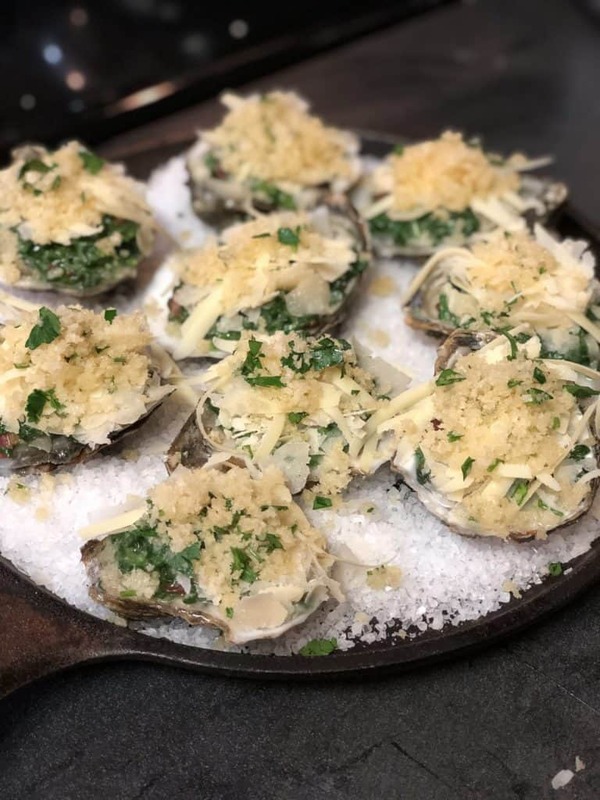 I used this flat cast iron pan from Lodge. 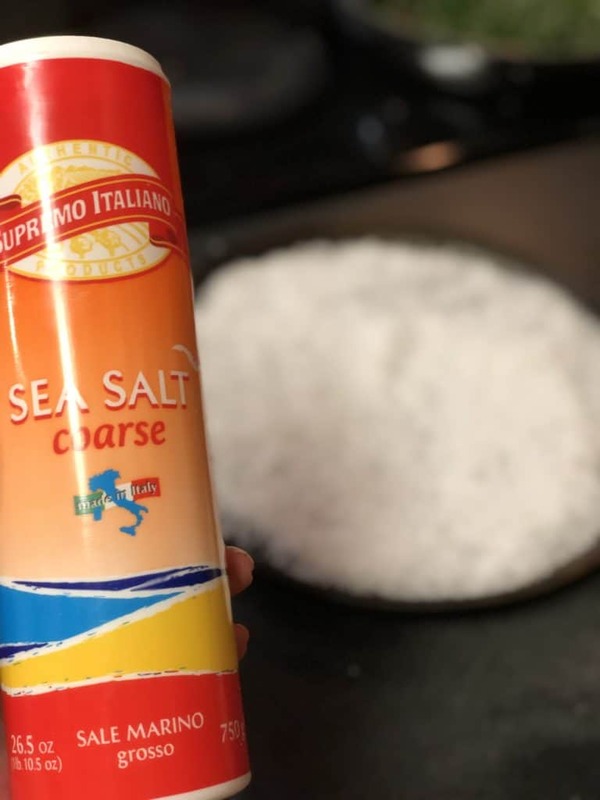 It was perfect for making this recipe. 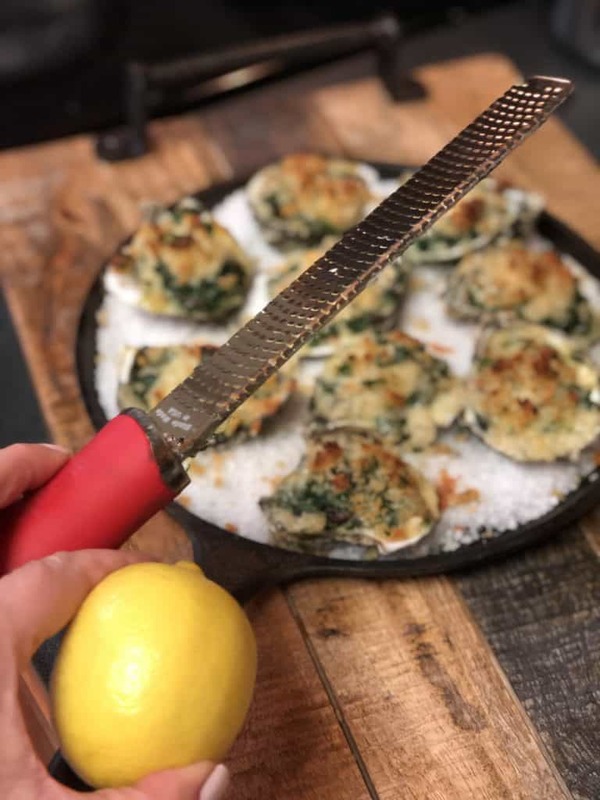 Pour the rock/coarse salt on the bottom of the pan…this will help keep the oysters remain steady as you fill and bake. 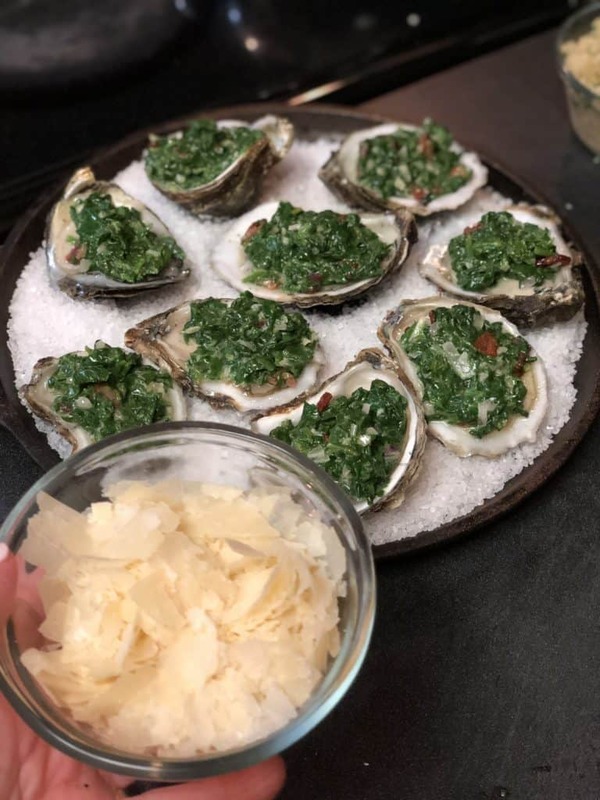 Arrange the oysters on the salt foundation. 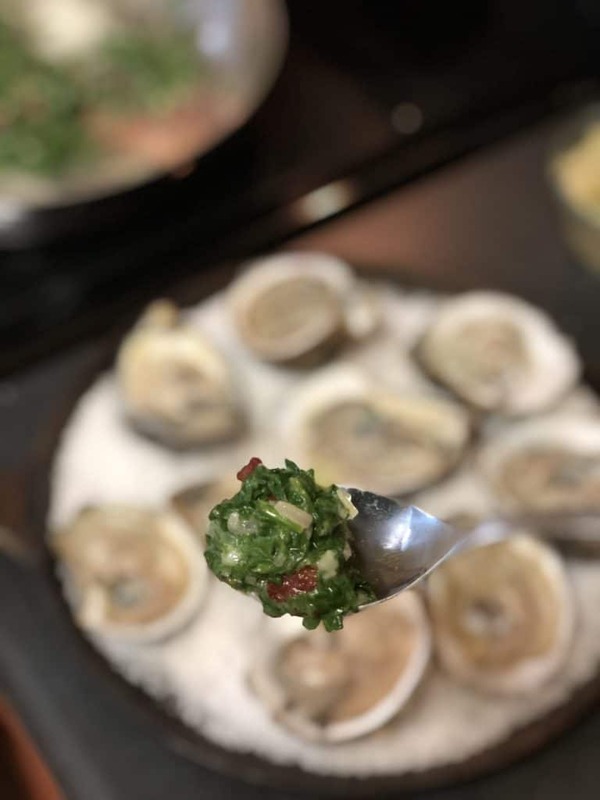 Place one or two spoonfuls of the spinach mixture on top of each oyster. 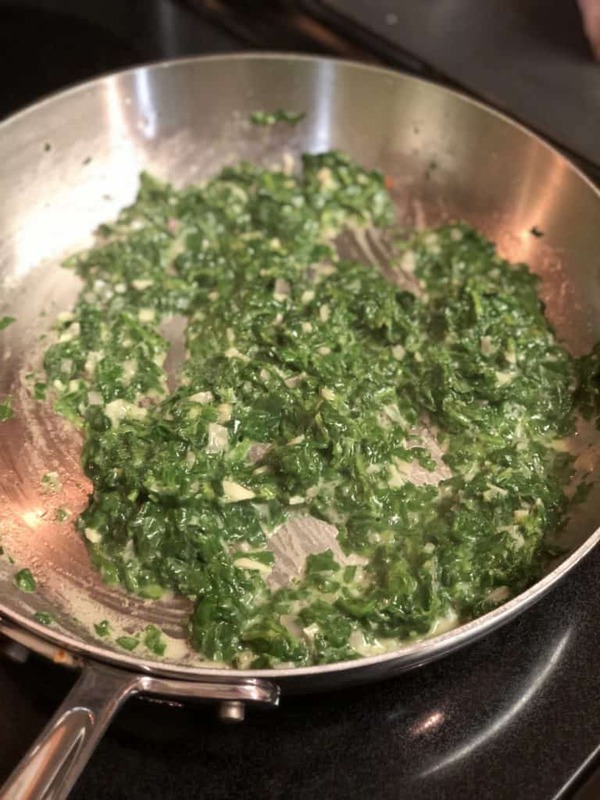 Top the spinach mixture with the Parmesan and Gruyere. I just topped each one off with a few generous pinches. 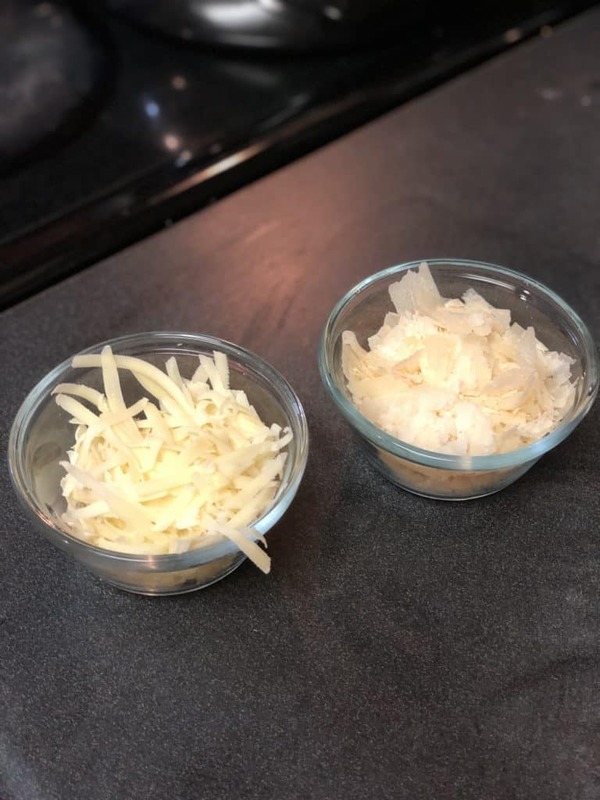 Top the cheese with the Panko/butter mixture. Bake in a 375 degree oven for about 10 to 12 minutes. You will notice that the cheese will melt and the breadcrumb topping will turn a golden brown. 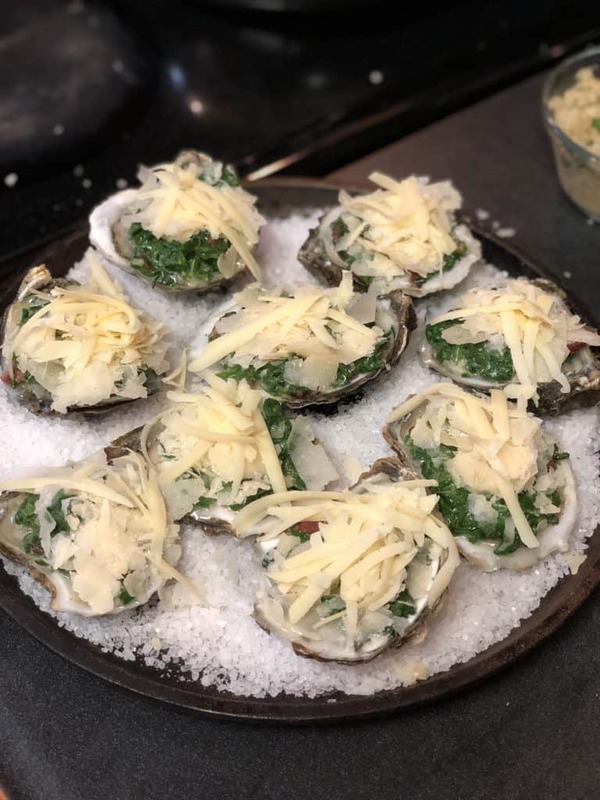 Remove from oven and top with lemon zest and a few of the leftover bacon pieces. Serve immediately with fresh lemon wedges. ENJOY! TIP: You can definitely make these ahead of time and store in the fridge until you are ready to bake…would be great for a party…be sure to make enough…your guests will love them!